We all miss greens, it's a fact of life. But it's what you do and how you do it that dictates whether or not the ugly bogeyman shows up on your score card. Using my Compass Drill from putting strategy video, you can simply THINK your way to lower scores just by employing that strategy to your chipping. You'll see in this video how pros think their way around a golf course to save par more often, even though it may look like they made a mistake. This little known strategy known only to the best players will help you save 3-5 shots a round just from missed approach shots. You'll no longer be worrying about whether or not you're going to save par, you'll be thinking about how easy it will be to save par when you put the ball in the correct quadrant. Golf is a numbers game and my Compass Drill gives you the best chance of saving par more often than not and plays the statistics game. You'll be playing much smarter golf, making fewer dumb mistakes, and most important - shooting lower scores. 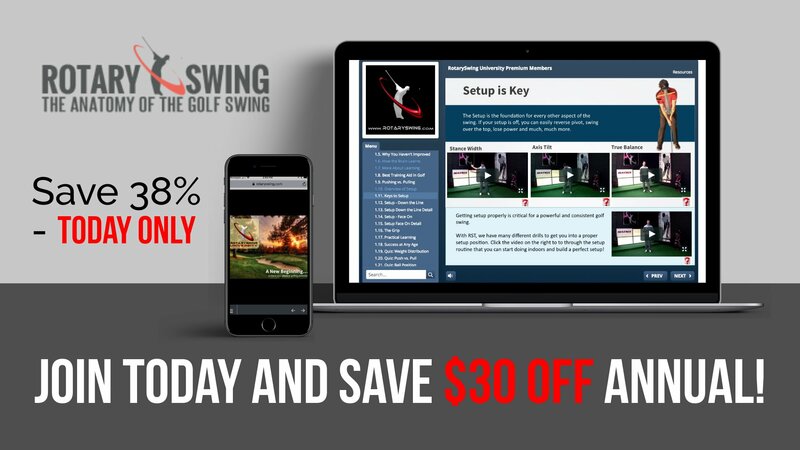 Get Your Free Membership to Finish Watching "Chipping Strategy to Save Par" Right Now!